Today marks the ten-year anniversary of the infamous Sonic Adventure 3, a game universally panned by fans and critics alike. Originally hyped as a return to Sonic’s roots, the final product turned out to be a rushed, broken mess that to this day serves as the punchline of many jokes. A lot has changed in the past ten years. 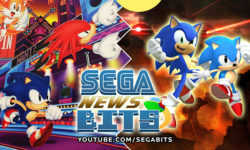 SEGA have learned from their mistakes (for the most part) with a host of well-received games such as Sonic Colors and Sonic Generations, while upcoming titles such as Sonic Mania and Big’s Big Fishing Adventure 3 show incredible promise. It could be argued that if it were not for SA3’s massive blunder, SEGA would not have made the massive overhauls in quality assurance since. For that alone, it warrants discussion. Join the staff of Sonic Retro as we look back on our memories of Sonic Adventure 3. In the end, was it really all that bad? Hit the jump to see if we figure that one out. I think the game was already out for about a year when I first played it. I had just bought the Xbox 360, and despite the negativity online having made it apparent that the game’s not that great I was still excited to pick up and play Sonic Adventure 3. After all, a game that got an eight point five from Play Magazine couldn’t possibly be bad. And you know what? I was right. I loved the game so much that I thought it was perfectly above average! Then I replayed the game a year later and realised it was crap. Like, holy dang it was crap. I have no idea how they could mess up the sequel to the perfect Sonic Adventure 2, but they did. I don’t know why I thought it was decent when I first played it, could be because my standards were just that low as a mid-teen, could also be that I didn’t want to admit to myself that I spent 30 euros on garbage. But still, I guess I get in some way why some people online defend Sonic Adventure 3. With some kids, you really can just give them some garbage game and they’ll at least pretend to enjoy it. Like I “enjoyed” Shadow the Hedgehog as a kid, but even back then I had trouble getting myself to play through the game. Some kids’ standards really are just that low. Low enough for them to have fond memories of playing a game like Sonic Adventure 3 anyway. Really, the only thing Sonic Adventure 3 still has going for it is how easy it is to break the game. I will gladly defend Sonic Adventure 3: Episode 2 though. The werehog wasn’t that bad. When I first saw footage of the then upcoming 3D Sonic game in 2005, it was everything I expected Sonic to not represent. They were touting a new, gritty tone for Sonic the Hedgehog as if SEGA exclaimed that our favorite blue blur was growing up along with us. After all, some of our other favorite video game mascots grew up into something that can be best described as hideous. I already skipped over a previous game in the Sonic series with the release of Shadow the Hedgehog. Having a game where Shadow packs an oversized glock is still probably the dumbest concept for a video game I’ve seen. But I shouldn’t judge this new entry without playing it, should I? Let’s go back to the day before the Nintendo Wii was going to release. I was at an in-store lock in to secure my pre-order for the new game system. On that same day, the Burger King began his reign of terror on both the Xbox 360 and original Xbox. 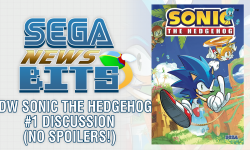 Sonic & the Secret Rings wouldn’t be on the Wii until a few months later, but Sonic Adventure 3? It sat there, spinning inside the 360 kiosk, begging to be touched. My first experience with SA3 involved me trying the two player mode (by myself), landing on a spring, and watching Sonic launch into the air to his death. So not only did this look like a Sonic the Hedgehog that was trying to be what it wasn’t, it also played like garbage. I decided that if I was going to wait until midnight to get this game console, I would try to beat Sonic’s story without buying the game. Unfortunately, all I could do was cringe at what was happening to one of my childhood heroes as the night went on. Characters would magnetize their feet to the ground awkwardly as the game would poorly auto-path me through loops towards my death. High speed sections caused Sonic to ram his dumb head against a fence and boogie his way to a lost life. Dear Ken Penders, these cutscenes look so terrible. It’s like watching a bunch of poor bastards trapped in character costumes at Six Flags helplessly dancing as children kick their shins. Then after earning a Game Over from a boss halfway through Sonic’s story, I was done. I’m done. I didn’t need to buy an Xbox 360 anymore. This game is some hot trash. These guys wanted to play the new Gears of War, they can go for it. To this day, I still haven’t touched the game since, and I don’t get anybody’s fascination to play this monstrosity when I can just bust out my SEGA Dreamcast and play the real Sonic Adventure. Ah, Sonic Adventure 3. The first in the series to come out on a console in glorious “High Definition.” I bought it new, the special edition with the cardboard sleeve, the day of release, after having played the demo on my 360. Imagine my surprise when I discovered that aforementioned demo had actually had more dev time put into it than the game itself! It came out around the same time as Sonic & the Secret Rings, and SA3’s awful controls went back and forth with that one for me as to which of the two was worse – usually the one I’d most recently played. Sonic Adventure 3 is a game best left forgotten and unplayed, unless it’s being done for active mockery purposes. 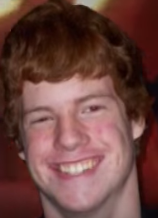 I’d hold out for Sonic Adventure 4 if I were you. Tails Adventures was a fantastic game for the Game Gear, especially considering the time it came out. A Metroid style platformer featuring everyone’s favorite sidekick? How could anyone not love it! If we lived in a far kinder world, a remastered version would have been released on the Sega Saturn the following year, with high resolution 32-bit graphics. But sadly, that was not to be the case. Because of this, I have always had an issue with the names for further entries in the series. Sonic Adventure? Should have been Adventure 2. Shadow the Hedgehog would have have his grand debut in Adventure 3, and Silver would headline the fourth. But I digress, for what is a name? A platformer by any other name would control just as awkwardly. I must admit, I was deceptively excited when Sonic Adventure 3 was revealed to the public. SEGA, having so much faith in the product, refused to release the initial trailers online or indeed anywhere. They held back the intense fight scenes of Sonic against a million generic robots because they wanted them to leak. Fuzzy cam footage was a bold underground advertising campaign, one that worked out in the long run. I wasn’t the only one clamoring for more information about the game, hungry for the latest screenshots that revealed an ever expanding cast. It must have worked, since the game sold 2.2 million copies. And none of those were ever returned or destroyed in mysterious circumstances. However, I can not say I bought the game on release day. I was a broke college student, and while the disc should have worked in a pot of ramen, it sadly needed modern hardware. It would take a while before I was able to get my hands on it, though I had heard some shady rumors regarding the quality of the final product. Jumping in, you see a beautifully rendered CG cutscene that looks as if it was taken straight from Final Fantasy. 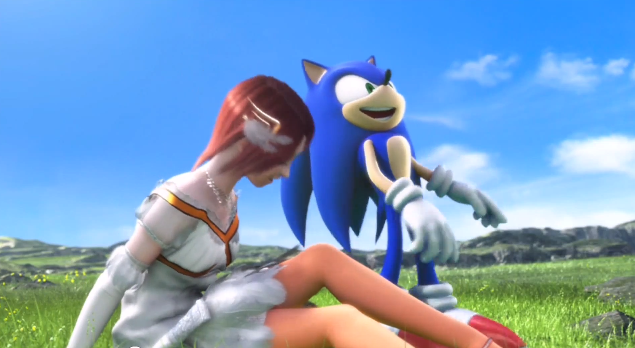 The plot of the game is established, Sonic rescues the Princess before we even begin. Then we jump to another cutscene done in-game that doesn’t look nearly as pretty, seeing another action scene I wish I was playing instead. Princess Elise gets kidnapped again. Sonic does nothing all night then you walk for five seconds until you meet Tails and see another cutscene. Then you have to get to a level but you can’t because you need to buy an upgrade for your shoes but you need to talk to a guy in the open world because he has special shoes so you run through rings to get the shoes to buy the upgrade in the badly laid out city so you can light speed dash to the first level that is a poor man’s version of Emerald Coast with badly scripted moments and a sad looking whale chase that leads to playing as Tails who can’t even curl into a ball and attacks by throwing rings just so you can go to another part of the stage where you can’t control yourself and die all the time. Oh right, Sonic Adventure 3. Princess Elise shared the name of a girl I was dating at the time. I made her watch me play through the game. We broke up not long after. As a video game person on the internet, I have played a fair share of electronic pastimes. In my 25 years on Earth, I have yet to have another game touch my very essence like Sonic Adventure 3. It was a cold November day when I finally embraced my very own copy of the pinnacle of gaming. Little did I know this wasn’t a title about our favorite hedgehog, but it was a plethora of lessons that I have since applied to my life. Sonic Adventure 3 taught me to have courage, how to stand your ground, and most importantly, how to love. Had it not been for this guide to life, I may not have swept my own Elise off her feet to become mine. I play through Sonic Adventure 3 every year on this day not unlike the pagan rituals “normies” celebrate on a yearly basis. It serves as both a refreshing experience from the horrors of being a male on the Internet and a spiritual experience. As I write this, my head is held high. I look forward to the new lessons I shall take away from this gift that only the masters of the Sonic Team and Service Games Enterprises were kind enough to bestow on, not just us Sonic fans, but the human existence as a collective body. Sonic Adventure 3 is the pinnacle of gaming. It was the reboot that us Sonic fans needed and deserved (even the games preceding it were exactly the same). Sonic Adventure 3 followed in the footsteps of the totally-not-dated classics that were SA1 & 2 by incorporating multiple gameplay styles and a deep, emotional story that created new opportunities for the franchise and fanfic writers like me. 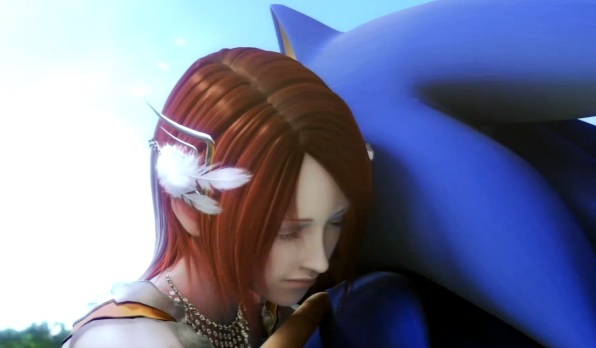 I had always wanted a human to kiss Sonic. Sonic Adventure 3 brought absolution to my dreams (Get it?! I love you Bentlee Jonessss!!!!omgggg). Please keep in mind that I am legally an adult. 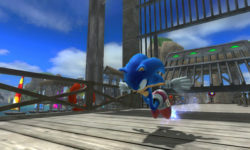 Sonic Adventure 3 had speed, vehicles, and treasure hunting like the first two Adventure games but Sonic Team innovated the gaming medium by incorporating physics-based gameplay with another beloved character, Silver the Hedgehog. No other game at that time had a true physics engine. 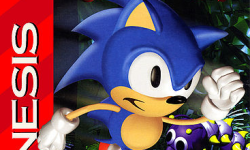 Sonic Team has never borrowed ideas from other franchises and shoehorned them into Sonic games. Silver is proof. I’m 25 years old and my mom still does my laundry and taxes. What I always enjoyed about Sonic Adventure 3 was that SEGA knew gaming as a whole was becoming too easy in 2006 to appease the wussy gamers. Critics said that having all these gameplay styles in Sonic Adventure 3 caused the game to feel “unfocused” and “unpolished.” Sonic Adventure 3 was unfairly labeled “objectively bad game design,” and/or “completely illogical.” These people are wrong. Sonic Team decided to stop holding hands really made the game difficult and worth the reasonable price of $60. Not only did you have to fight Dr. Eggman and a cast of one-off washout villains that I also dream of shipping with my human OCs, but you had to fight against the game engine, the level geometry, and a story that left you in so much awe that it rendered you unable to move and play the game. That’s why the loading screens are so long. Sonic Team knew you would need time to process what you had just witnessed. How immersive! I once dreamed I hugged a girl in a Sonic the Hedgehog-themed bed and shared my experience on a popular gaming website. Today, I’m happy. I got to wax nostalgic on Sonic Adventure 3. This is what Sonic should be because I grew up with Sonic Adventure and what I grew up with is great. It’s unfortunate that SEGA caved into older fans and will be releasing the regressive Sonic Mania next year, further spreading the B.S. propaganda of gamers who like playing “playable, competently-developed” games. Their nostalgia is bad. Our nostalgia? The nostalgia of those who want a Sonic Adventure 4? That’s the One True Nostalgia™. We need a new Sonic Adventure title, despite every game since the original following the exact same gameplay style, story structure, and tryhard art design. I took my Amy waifu pillow to the prom. Sonic is currently ruled by false memories. Memories that are false because they are not mine. We need a story that will touch a new generation of kids who will grow up to be selfish, fallacious adults like me because, as we know, the story is what sells a video game. Not the gameplay. We have no problems in this world of ours than the lack of a Sonic Adventure 4. Absolutely zero. SEGA can truly make Sonic great again if they listen to people like me, a member of an extremely vocal minority. I know that the whole “Sonic Adventure 3” thing is sarcasm here, but honestly that describes ’06 so damn well. I’m surprised that more people haven’t caught on to the fact that it’s basically that. This better be satire. But seriously who still thinks that SA3 and Big’s Big Fishing Adventure 3 is a thing. I like how it gets increasingly less serious the longer it goes on. …Was it really necessary to do the whole “Sonic 06 is Sonic Adventure 3” thing? I am sorry for anyone who goes by the name Sonic 06 who I may have offended with this article. That was not my intention. I think it’s funny how people seem to be trying their damndest to not just let this game go. I like it more than any other Sonic game for the fact that the glitches are the most fun I’ve had in a videogame in YEARS. I don’t get why only this game is brought up so much. Of all the terrible games to make fun of (Shadow, Secret Rings, Free Riders, Sonic 4) this is the only one anyone ever talks about. It’s bad, yes, but so are those other games. Honestly, I adore Sonic 06 because it’s actually good. Of course it was glitchy had some issues, but when people play games, they play to have fun. And to be honest, it was fun. Especially the two player battle. Sonic has been key to my childhood and I really adored Sonic as an icon. 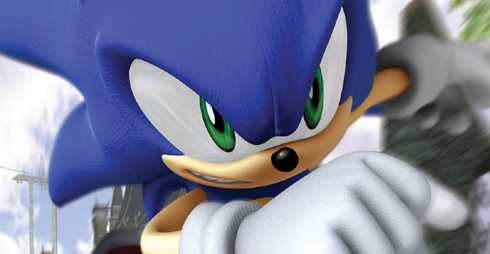 However, I don’t really like the newer Sonic stuff because it just isn’t…good. Like I enjoyed SADX, SA2, 06, and Unleashed. Honestly, they were really fun. (Don’t know why people hating on unleashed, loved pretending to play around the world!) However, after Unleashed, things have been going downhill. I have Generations which was ok, Colors was meh, and Rise of Lyric gets really boring after the first couple levels. Plus, I usually don’t complain about graphics but SADX has better graphics than Rise of Lyric on the Wii U. It’s really choppy and glitchy too. I feel that Rise of Lyric was honestly the disappointment of the game series. Last thing, Sonic Boom is REALLY not appealing. I’m not sure if its the new looks, the changed voices, the bad action, or these things combined. It maybe though, that I am too old to enjoy Sonic. I’m 17 and I try to like it, but I can’t. I don’t think its me that’s change though. I still play the old games and still watch Sonic X. I just want one thing from Sonic Team, and that is to have Sonic 06 Remastered. That, and my childhood would be complete.